Orca Book Publishers, 9781459820708, 28pp. Through gentle rhymes and colorful photographs of adorable children, Pride Colors is a celebration of the deep unconditional love of a parent or caregiver for a young child. The profound message of this delightful board book is you are free to be whoever you choose to be; you'll always be loved. 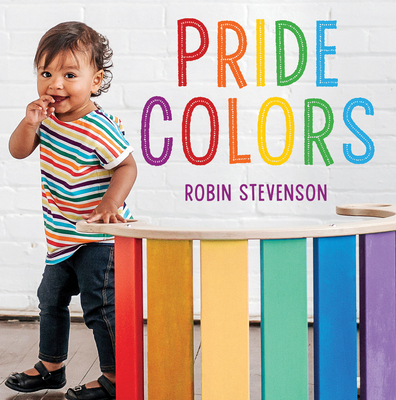 Celebrated author Robin Stevenson ends her purposeful prose by explaining the meaning behind each color in the Pride flag: red = life, orange = healing, yellow = sunlight, green = nature, blue = peace and harmony, and violet = spirit.